Peg owned an antique store and a hair salon and worked in a variety of retail settings before managing telecom projects across the US. In our family we learned how to count cash early in life by playing Monopoly. I loved being the banker, although that job usually fell to one of my parents. Having a stack of money on my side of the board was fun, even if it was only play money. In fact, as kids, we liked to have play money to carry in our wallets since the real thing seemed so scarce. If you didn't grow up playing with pretend or real cash, it might seem a bit of a challenge if your job includes running a register. 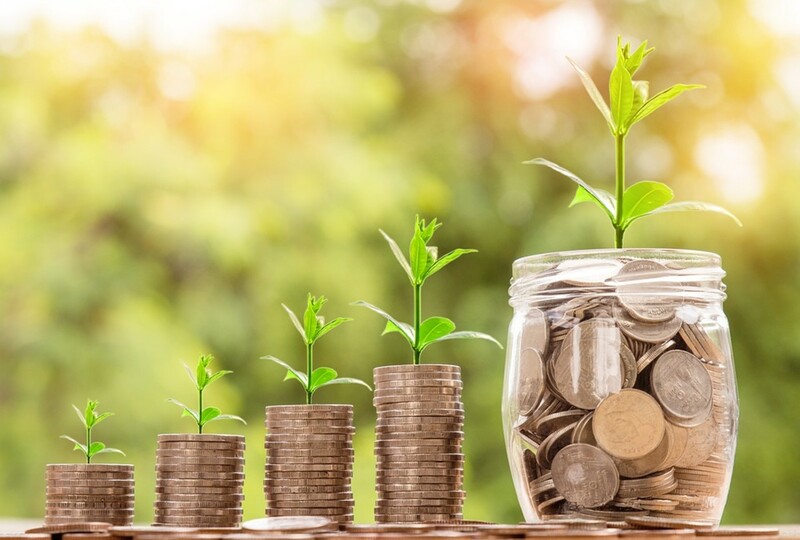 The following tips and examples may help you overcome your fear of handling cash. What I've found with cashiers, even bank tellers, is the failure to organize the cash drawer properly. Working at banks back in the dark ages, we were taught to put all the bills facing in the same direction. We were also taught to take the time to unfold the dog-eared edges of each bill. 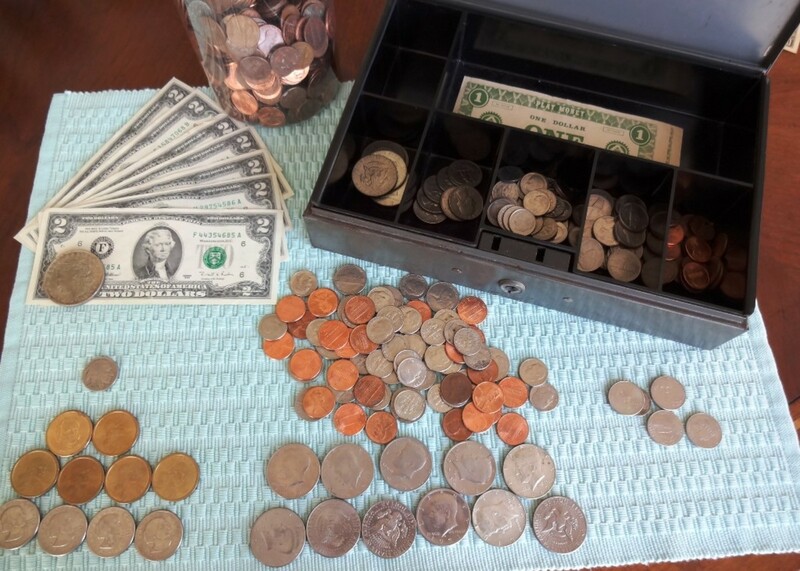 This simple practice can help to eliminate counting errors when giving back change. Yesterday at the bank, I wasn't surprised to receive a wad of bills back from the teller with the bills every which way but organized. The first thing I did before counting my money was to turn all the bills to face in the same direction, face up and right side up. We were trained to count the money onto the counter in plain sight of the customer. We were forbidden to count it from one hand into our other hand. Then we were told to pick up the bills and count it out again into the customer's hand, small change first. This double counting eliminated many potential errors and out-of-balance cash register drawers from the days of my first job as a dime store clerk to the years of handling hundreds of thousands of dollars of real cash at a commercial bank. Counting the bills is easy if you grew up chanting, "Five, ten, fifteen, twenty, twenty-five, thirty, thirty-five, forty. . ." like I did. If you didn't share that experience, try practicing with your kids. They'll love the sing song version of learning to count by fives. Counting by tens was fun, too: ten, twenty, thirty, forty, fifty, sixty. 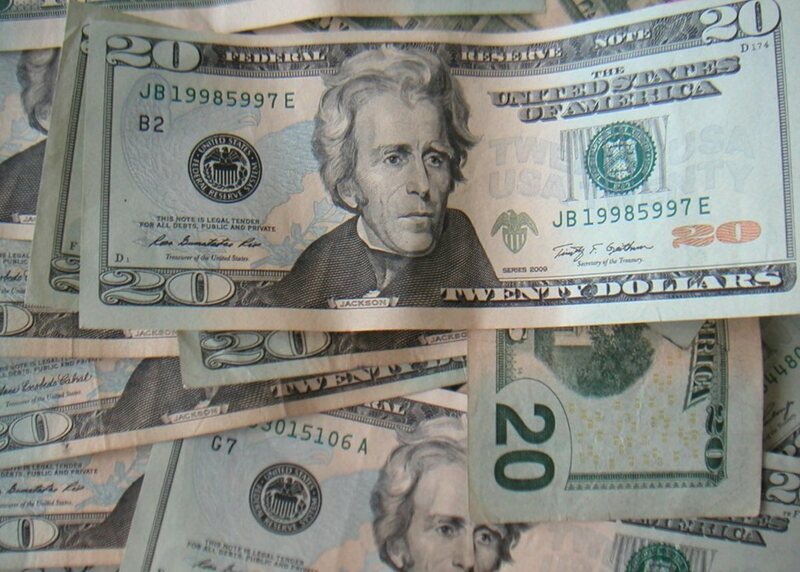 Counting by twenties would naturally be next: twenty, forty, sixty, eighty, one hundred. Doing this, or teaching your kids this, will aid in learning math skills. My five-year old often put coins together and asked me to exchange them for "green." How many twenties make one hundred? Count it out. There's five twenties in one hundred dollars; so five times twenty equals one hundred. It's about multiplication as well as addition. Experience adds to the ease and comfort of correctly counting back money. 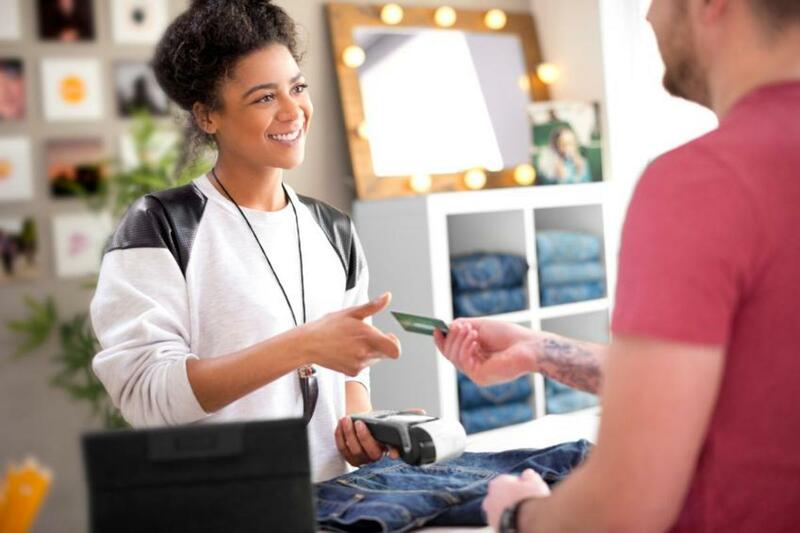 What happens when the customer wants to give you some odd change after the sale has been rung? Here's an example. The total sale is for $13.57 cents. The customer gives you a twenty dollar bill. After you ring the cash in, they say, "Can I give you the seven cents?" Your cash register has already told you to give the customer back six dollars and forty-three cents. ($6.43). 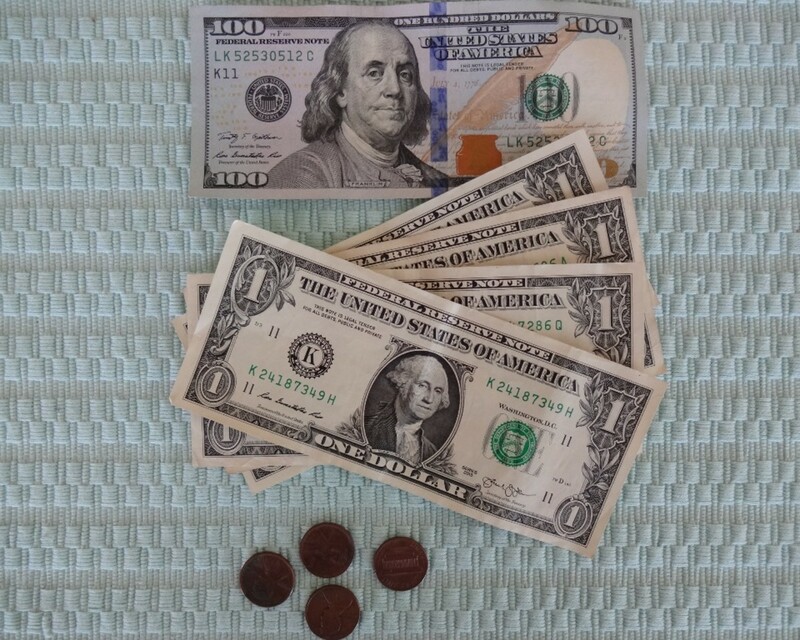 The easy way to recalculate the change due is to take away (subtract) the seven cents ($.07) from the original amount due. $13.57 minus .07 equals $13.50 due from the customer. 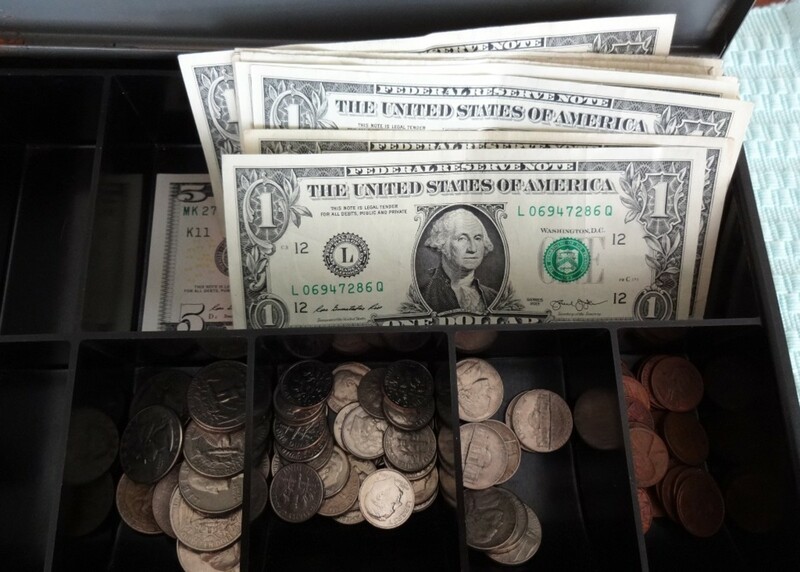 Place the seven cents on the ledge of the register drawer and count out the change from $13.50. 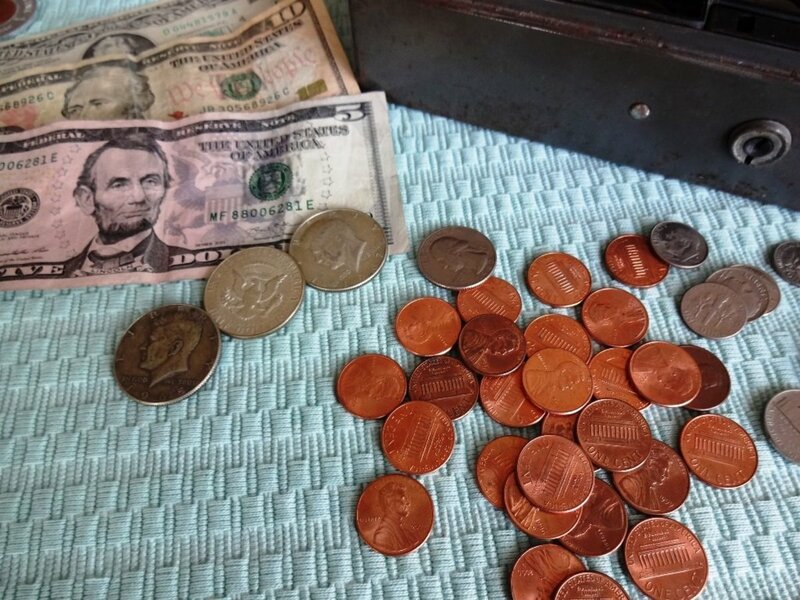 Pulling one quarter from the drawer, count it into your hand and say to yourself, "Thirteen-fifty (and 25 cents makes) $13.75, and another quarter makes $14.00. 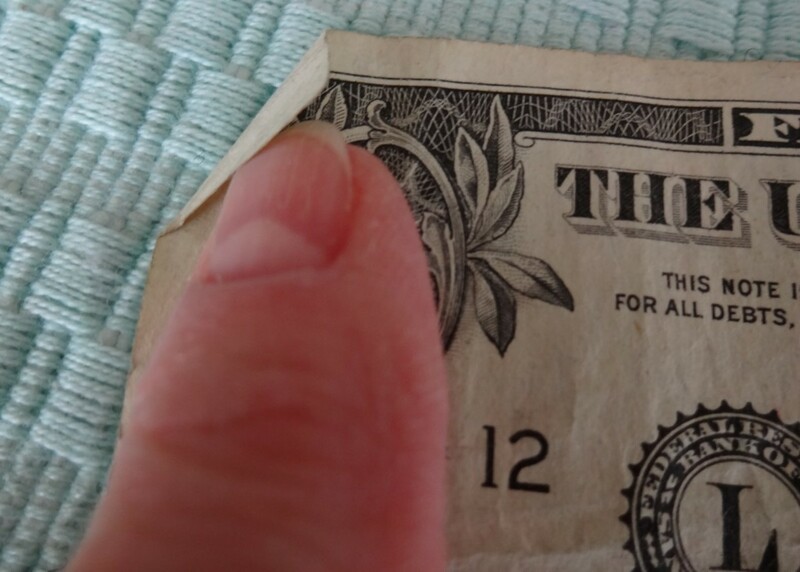 Pull a one dollar bill out and count to yourself, "And one makes $15." Pull a five dollar bill out and mentally say, "And five makes twenty." (Five, ten, fifteen, twenty). See how handy that little chant can be? Then, count the change back to the customer repeating the revised amount of the sale after the pennies. "That's thirteen-fifty, (hand them the first quarter), thirteen seventy-five. Now the second quarter and say, "And fourteen." Place the one dollar bill on top of the change and say, "And one makes fifteen." Then add the five to the stack and say, "And five makes twenty." Smile, thank them for the purchase and wish them a pleasant day. It's All Green. Super green. 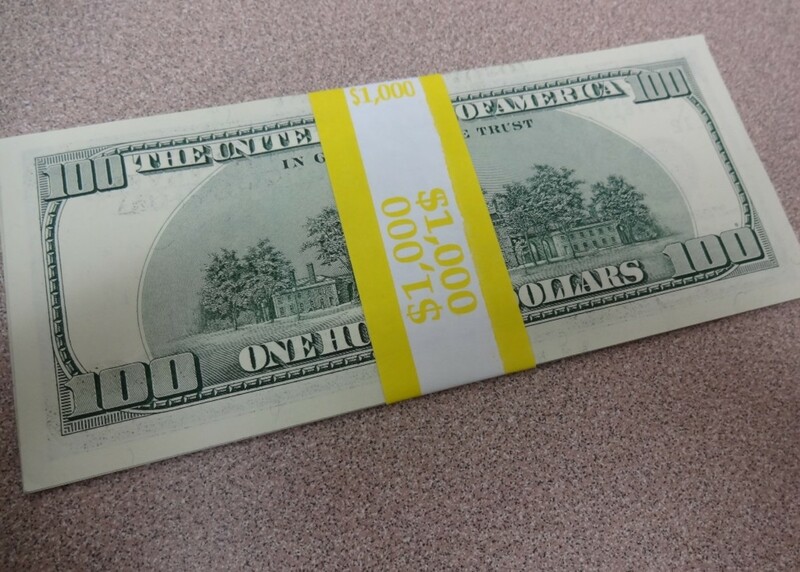 Bank strapped hundred dollar bills become like Monopoly money after a while. Let's suppose the total sale is twenty-three dollars and eighty-nine cents ($23.89). You've already rung up the hundred dollar bill they gave you, when the customer asks if they ask if they can give you the odd change. "I have too many ones," the customer explains, digging around in her change purse. "I don't want more ones." The customer hands you four one-dollar bills and four pennies. There's no need to freak out. First, place the pennies on the ledge above the cash drawer and subtract four cents from the total amount that they owe. $23.89 less four cents is $23.85. They don't want pennies back so you pull out a nickel from your cash drawer and tell yourself. . .
$23.85 and five cents is $23.90. Add a dime and that makes $24.00. But they've given you the four, one dollar bills in addition to the hundred dollar bill ($104.04) which you've also placed in sight on the ledge of your register. The rest is easy. Pull out twenties as you count to yourself. . .twenty, forty, sixty, eighty and one-hundred. 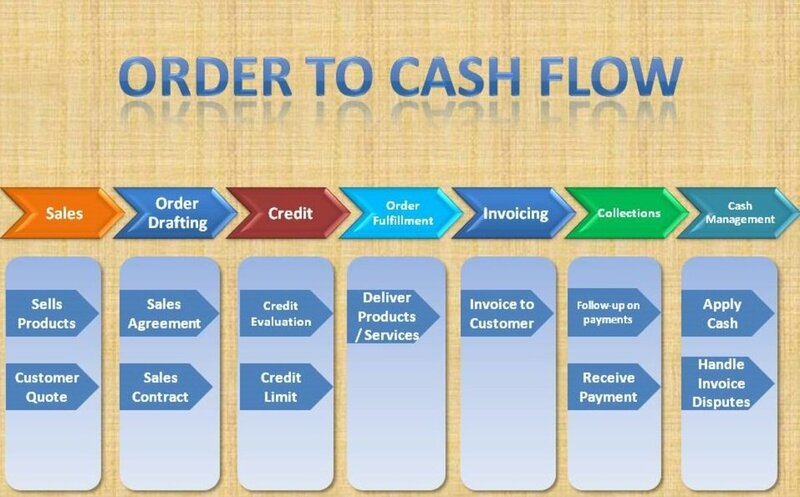 You've counted it out into your hand, now count it back to the customer. "Ma'am, that's $23.89 less four oh four. That would be $23.85, plus five cents is $23.90, plus a dime is $24.00, less the four is $20.00." Place the fifteen cents in their hand and count out the twenties one at a time like so, "twenty dollars, (as you put each twenty down) forty, sixty, eighty and one-hundred." Count your blessings. It could be worse. You could have a job shoveling fish guts. Why Did They Give Me So Much Money? Sales amount = $23.89. The customer gave you $104.04. Deduct the pennies they paid from the original sale. Leaves $23.85 due from the customer. Use the four one-dollar bills for the $3.85 giving $.15 change. There was a day when cash was king. Although many people choose to use credit and debit cards today, some people will always carry cash. 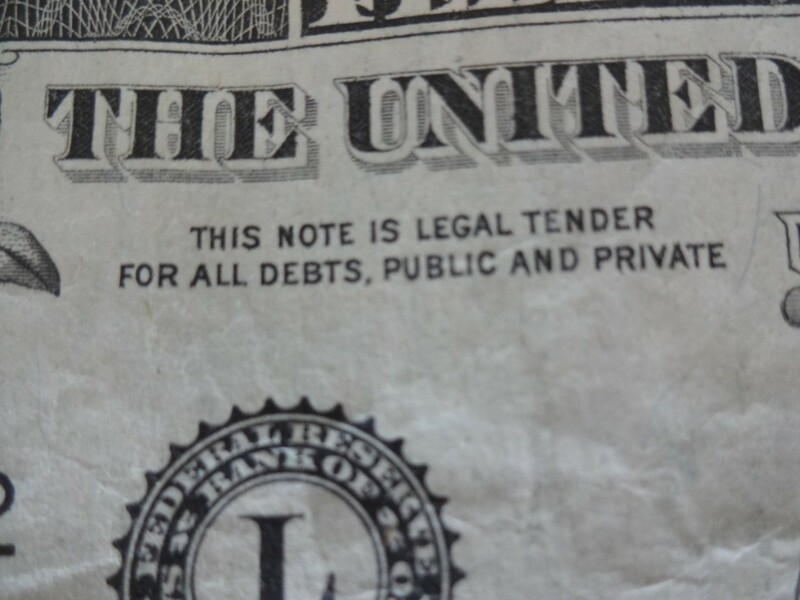 And remember, like it says on the money, "This note is legal tender for all debts both private and public." So until they outlaw cash, keep your chin up and count out the change. Hi Peggy, I miss the old days when families played board games together. It was a time of learning and bonding. Thanks for coming by today. Like you, we played many games of monopoly when playing together as a family. We also learned how to count out change. It amazes me that today some cashiers and others have a hard time doing it. Hi Mike, You know, I've been known to give the cashier the odd change, just to see what reaction I'll get. It is amazing that so many can't figure out the difference without a calculator. Sad in so many ways. Hi William, Not so true anymore, it seems. The bills I received from a bank recently were all facing in different directions. I wanted to give a tutorial on "how it used to be done" but I refrained. (barely) It seems as if cash is not used much anymore from the way it's handled. Hello Peg - Another helpful presentation. I have put cashiers into shock, by offering the change, to round the transaction out. The register is telling them the 'change' figure, often they cannot figure it out. Hi, Peg. I remember making bank deposits for a convenience store I worked at. It wasn't even a bank, but we were taught to always face the bills the same way. I was told the bank demanded it that way. Now I know it's true. Thanks for the information. Hi Liz, Here, too. Most places I go the customers are using credit and debit cards, something unheard of back in the day when buying consumables. We loved playing with play money and playing Monopoly as a family. Thanks so much for dropping in to share your thoughts. In the UK cash is being used much less than in my youth. Cards and contactless payments proliferate. But I remember playing with toy cash trays especially in the lead up to decimalization of our currency. Monopoly was also a great learning tool. Hi Genna, I guess the hard part comes when customers try to give the odd change after the sale is rung. Cashiers aren't trained on how to do the math to make these transactions work. Wondering if stores give math tests to their prospective employees without allowing calculators during the test? Thanks so much for sharing your thoughts and for the early morning visit. Hello Maria, You know, I noticed that about the comments, too. 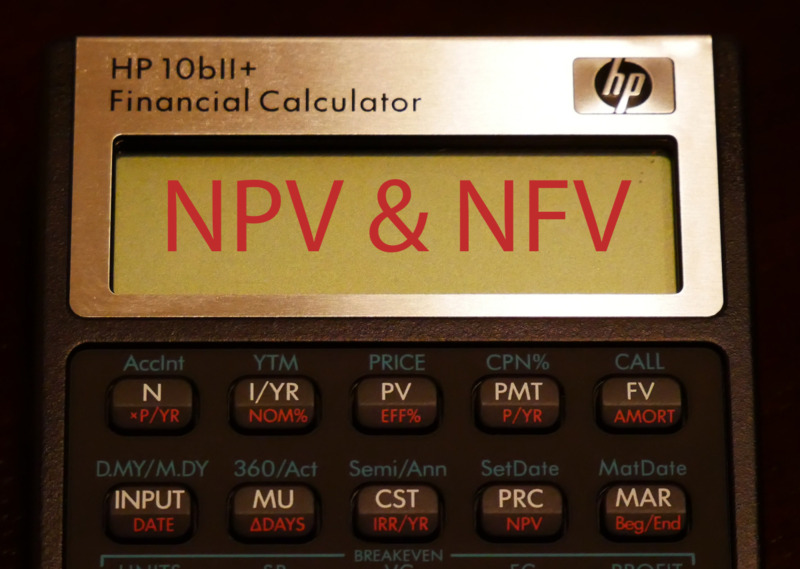 We must be from the group that had early retail experience before automatic calculators were added to registers. I started out with an antique National Cash Register that had manual push buttons like an old typewriter. You worked at Woolworth's. 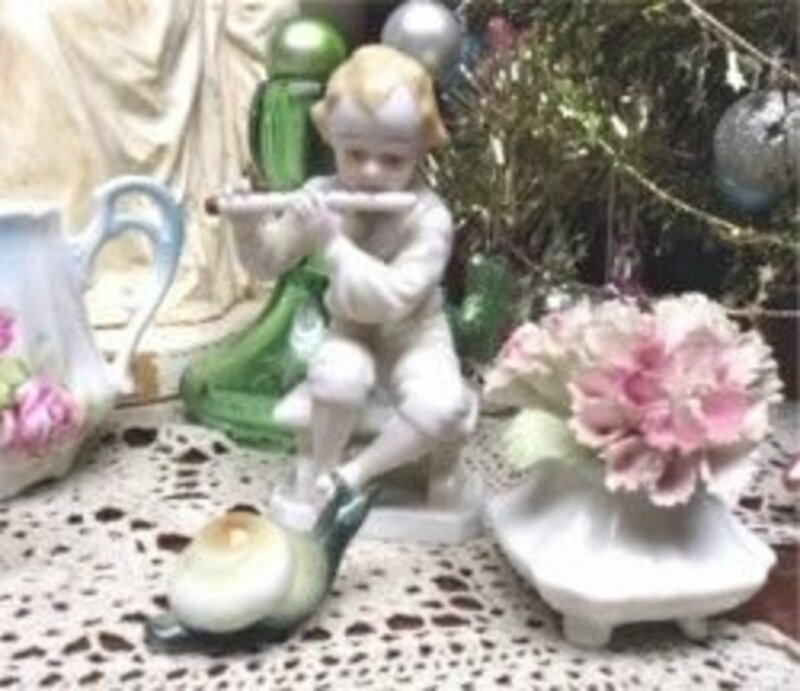 I was at Neisner's. We still had a lunch counter and I had to work a few shifts there as well. Mmm, hot dogs on a rotating grill. Yum. I'll have to check out Pamela's technology article. Thanks for the tip and the visit. Hugs. What great tips for handling cash, Peg. And I also shared your experience with bank tellers who present us with bills in a disorganized fashion. I don't like to carry a lot of change in my purse, so I try to be mindful and organize it in a way that I can dispose of it quickly at the cash register. I can't tell you how many times I get a "lost" look from cashiers. I guess not everyone has the time to count out that change in this day of debit and credit cards, or do not have special registers that are able to do the math for them. Hi Linda, I'm encouraged to hear of a cashier that takes time to organize their cash drawer. It speaks a lot about her attention to detail. Thanks for sharing that information and for your visit. Flourish, It's great when you have the time to share a bit of knowledge to others, especially in that line of work. I remember the rules of being a cashier, that if we were out of balance more than a few times, we'd be out of a job. Those were the days when the registers only rang up groceries and didn't give a clue about how much change to give. Oh my. Interesting how all of us who have commented can make change without a calculator. This is a "sign of the times" to me. I try to take the time to teach / explain why I am giving a befuddled cashier a penny with my dollars. I just came from Pamela's post of technology addiction and I think this is a chief reason for why our younger generations have not adopted this life skill. Great job - I'm always grateful for my first job at Woolworths. This is an interesting and useful article, Peg. The part about unfolding the edges of the bills and lining all the bills up facing the same direction reminded me a particular cashier in a supermarket near my home. That's exactly what she does. She's very meticulous about maintaining order in the cash register and giving the correct change. I have to laugh because I've had many cashiers tell me they couldn't do a different amount because they already rung it up. Sometimes I tell them if I'm in a patient, teaching mood (it's just math) and at other times, I just say, "ok." They should at least be able to use the calculators on their phones to figure it out, you'd think. Verlie, I do, too. I can almost hear an audible groan when I pull out my change purse and start digging around for the coins. I often give the exact change so the cashier doesn't have to bother. They always seem surprised (or appalled, can't be sure) at this old-fashioned notion. About the 15 cents. . . put it in a CD for about 50 years. It will eventually be a dollar! Hello Bill, I'm always glad when I can get a laugh about a topic that should be self-evident but which needs to be explained. We were trained to use cash. I imagine that the youth of today rarely (if ever) handles cash. I actually know people who merely round off the amounts of checks in their checking accounts when they subtract and who actually take the bank's word for their true balance. Not good. I know firsthand that mistakes can be made even by banks. Thanks for sharing the humor in this and for your visit. Hello Chitrangada, We are among the few that still keep our money in an organized way or even carry money for that matter. I think that schools should offer a class that requires students to use only cash for a certain amount of time and see how they manage it when it's real money. Just a thought. Thanks so much for coming by and for sharing your thoughts. Peg, you are so clever. Whenever I offer a bit of change to round out the transaction I feel like an old lady. It all depends on the age of the cashier what kind of reaction you will get. Now if only I could figure out how to make a dollar out of 15 cents! Hey there, Shauna, You've found the exact word that describes the expression on some faces when presented with these scenarios. I've actually been told, "Yes, it's too late to give me the pennies." It is amazing and eye-opening. Hello Pamela, I'm also surprised and dismayed at the poor math skills that are seen in today's business world. If I had a business now as I did in the past, you can be sure I would give a math test that didn't allow calculators to be used. Thanks for the visit and for sharing your experiences with this. I also belong to the old school and love to keep the cash in an organised way. Makes handling them so much easier. And yes, I do carry cash, even in these times of credit, debit and other cards. Enjoyed reading your well written article with nice pictures. Some sweet memories of my childhood are refreshed. Thank You for sharing! Hi Paul, Thanks for dropping by to read this and for such a welcomed comment. Excellent article, Peg! It irritates me when I'm handed cash (even from tellers!) that's not organized. The first thing I do is smooth out the dog ears and face all the money the way you describe above. I do the same in my wallet. I even go so far as to stack the bills in ascending order of value. I see the befuddlement on cashiers' faces when I present them with any of the scenarios you mention in this article. I think math skills have gone by the wayside. They look at the amount the register tells them to give back, then at me, then at the cash draw with a totally dumbfounded look on their faces. I usually have to do the math for them. Why on earth would anyone be hired to handle money if they can't do basic math? Peg, I don't know why I am still surprised when a cashier in any environment can't make change. I am old school as well. Long ago when I was in grade school we didn't use calculators. We learned to subtract in our heads, and they taught us about handling money, I don't believe they do that anymore. Monopoly also helped. I think this article is great for those that struggle with making change. I want all my bills in the right order also! Such a lovely and useful article! I know many of us could use or could have used this when working a cashier job. Thanks for sharing! I like the way you think, Jackie. It may be Old School but it works well. Yes, we were also taught to always put the customer's money in plain sight so there would be no question as to how much they gave you. I agree that the automated registers have taken away so much in the way of communication and skills from our new generation. They seem to give out only what the machine tells them to do. Great idea this is, Peg. People are so bad at this and cashiers need training on it, don't they? I worked in my own shop for years and I always kept the money out someone gave me (so they could not say they gave me more) and always counted back to them from the total they owed to what they gave me. I really hate how cashiers just hand you your change without saying a word and if we are talking big bucks the line can just wait til I know I got all my money back.